Samsung Galaxy F Foldable Phone. Smartphones have become an integral part of many people’s lives in recent years. Wouldn’t you agree? According to statistics, the number of smartphone users increases with every passing year. In 2014, 1.57 billion people around the globe had smartphones in their possessions. In 2018, the numbers went up to 2.53 billion, and it seems as if they only keep rising. Nowadays, we use smartphones for everything – conversing with friends, conducting business, playing at online casinos, reading books, and more. The more people depend on smartphones, the bigger the resources invested in developing new ones. Every year, phones become thinner, bigger, and more sophisticated. 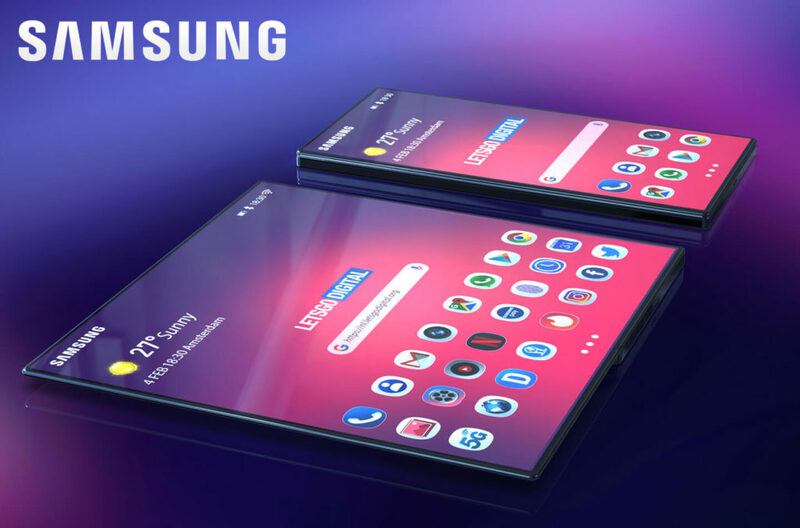 But this year, Samsung decided to bring something new to the table – a foldable phone, the Samsung Galaxy F.
Are you ready to find out more about it? How Will the Foldable Phone Work? Before we start talking about the Samsung Galaxy F device, it is important for you to understand how the technology works in the first place. Those new foldable phones are designed to look like a tablet when they’re open, and turn into a compact device once you fold it. Think about all the things you can do with a big screen that fits into your pocket. You can work, read, and do everything you need while using a larger screen instead of the regular small one. Samsung had to take into account a multitude of factors. First of all, the materials from which the phone is made have to be thin enough to bend easily back and forth. That means a lighter phone, but it also means that the manufacturers can’t use glass screens, as they are not flexible enough. Instead, the phone will feature a plastic screen, which might be bendable, but it is certainly less sturdy. Although the company stated that the material is sturdy, it can’t be as durable as glass, and it will affect the product. Since the device will be quite big, it will have two separate batteries on either side of the phone. Also, Samsung will have to make sure that all available apps will adjust to both modes without compromising the customer’s experience. According to Google representatives, the company will support the new devices. Hopefully, that means that the transition between the full-screen mode and the smaller one will be smooth and easy. According to officials, the screen will reach a maximum size of 7.3 inches, with a resolution of 2,152 x 1,536 pixels. The smaller display will get to 4.58 inches, and a resolution of 1,960 X 480 pixels. Unsurprisingly, experts believe that this phone will be quite expensive – more than $1,800. After all, this is new technology, and it will take some time for manufacturers to come up with an affordable product. On the 20th of February, Samsung will have a press event. Rumours have it that further information regarding the Samsung’s foldable phone, the Samsung Galaxy F device will be released on this date, while others believe that the information will reach the masses in March or April. Only time will tell, but we sure hope that the announcement will come sooner rather than later! If you thought that smartphones couldn’t get any better, you were wrong. People all around the globe excitedly speculate what foldable phones will look like and how they’ll affect the market. In the next few months, additional information regarding the Samsung Galaxy F device will be released, and we can’t wait for more details to come through! Anyone who is interested in all the recent developments in smartphone tech should stay tuned, and learn more about the most anticipated phone devices of the year in future posts.